It's hard to believe that my first year in Hong Kong is at an end. It was exactly twelve months ago today that I hoped off the Qantas flight and stepped into my new life in Asia's most dynamic culinary city. There are only a handful of cities around the world that truely have a reputation as being an epicentre for the culinary pursuits and Hong Kong just happens to be one of those few. As a food blogger, that has meant that I've been like a kid in a candy store. I've had time to reflect on my first twelve months and the amazing restaurant and dining experiences in which I've managed to partake. While there have been well over a hundred restaurants I've checked out in my first year, there have only been a handful that I've repetitively revisited throughout the year, one of which has made my list. As you'd expect from a food capital, Hong Kong is home to many restaurant guides that have helped identify the standout dining establishments. The Michelin Guide, the SCMP Top 100 Tables, the Hong Kong Tatler are all well known guides that mostly get it right but sometimes get it very wrong, with one of my favourite restaurants of all time losing it's Michelin Star. I have to say that I'm excited to be living in a city that is part of the Michelin family, but I've also come to understand that the guide is fallible. So, what are the elements that I look for in a restaurant to make my top ten? Firstly and most importantly, the food has to taste good... No, the food has to taste great. Was the meal memorable? Did I talk about it to others and did I think about it for days or even weeks after? I'm a sucker for really creative chefs that push the envelope and try something a little different. The food has to be treated with respect, it has to speak for itself. Well, I won't keep you in suspense any more. Here is my 2015 Top Ten. One of the few three Michelin Starred restaurants in my list, Bo Innovation is the quintessential blend of traditional and conventional. Head Chef and owner Alvin Leung began his career as a sound engineer before moving into the kitchen. It was a move that proved to be a stroke of genius, with the man often called the 'Demon Chef' embarking on a career that's included being a judge of Masterchef Canada. Alvin's approach to food is to take traditional Chinese flavours and put a very modern twist into the preparation, using cutting edge molecular gastronomy techniques. He's even coined a new term for food 'x-treme Chinese cuisine'. For a man who came into the kitchen quite late in his career, Alvin Leung has made an impression that's hard to ignore. Be prepared though, it's a tasting menu only and a little on the pricy side. Hot Tip: When you visit, make sure you ask for the Chef's table. One the night of our visit Alvin was marshalling his team and was the ultimate showman. Tucked away in Soho's Elgin Street is one of the best casual dining spots in Hong Kong. Ho Lee Fook is a seriously funny name for a restaurant, and it should be no surprise that an Aussie had a hand in coming up with the title. Chef Jewett Yu was born in Taiwan but spent time in Australia working under legendary Tetsuya Wakada and he clearly picked up a dose of Aussie humour. One you head down the stairs lined with waiving 'money cats', you enter a very funky looking dining room with low light and very cool artwork around the walls. The ultra cool ambiance of the restaurant is the perfect setting to sample Chef Jewett's take on Chinese cuisine, which is a good mix of traditional techniques with contemporary thinking. Amazing and fresh ingredients are the order of the day, with incredible flavours. Our favourites are the 'Mom's mostly cabbage, a little bit of pork' dumplings, which are incredibly tasty and very more(ish). We also love the Yunnan style steak tartare, which blends eastern and western flavours so perfectly. But, what's really amazing on the menu is the Kurobuta Pork char-siu, which can be ordered extra fatty if you like. The char-siu is the reason why we've been back many times. Hot Tip: Come early unless you're prepared to wait for a while. There's no booking a table at Ho Lee Fook, so we always get there before 7pm. For those of you who have been following my foodie exploits for 2015 might have noticed a bit of a trend. I've been to Din Tai Fung a bit. Well, quite a bit actually. In my first twelve months in Hong Kong I've been to the specialty dumpling restaurant well over forty times! Originally from Taiwan, Din Tai Fung has pretty much been a global phenomenon, with outlets all over the world. The specialty is XiaoLongBao, or soup dumplings and they are might addictive. Din Tai Fung has turned soup dumplings in to a fine art, which is proudly on display at each of the outlets. Each kitchen preparation area is open to the public though large glass windows and you can hypnotically watch the team of chefs preparing the XiaoLongBao. 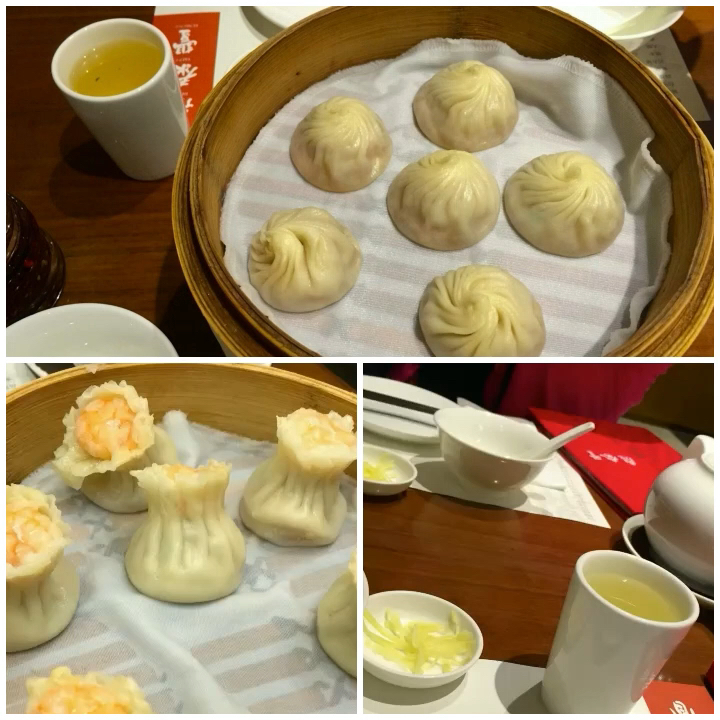 There's a lot more to Din Tai Fung than their XiaoLongBao, we particularly love their pork chop and spring rolls, but we keep coming back for those delicious and addictive soup dumplings. A must for any person visiting Hong Kong. I've been fortunate enough to visit the very original Din Tai Fund on a number of visits to Taipei this year, so if you get the opportunity, it's an option for any Asian itinerary. Hot Tip: You can wait for quite a while, so grab a number and get comfortable. Recently voted as one of the top 100 chefs in the world by Le Magazine Le Chef, Andre Chiang is a chef of rare talent. His self titled first restaurant in Singapore, Andre, is rated as the #5 restaurant in Asia. Setting up a restaurant in his home town of Taipei had always been a dream, a dream which recently came to fruition with the establishment of RAW. It's incredibly contemporary and one of the most spectacular restaurant interiors I've ever seen. But looking good is only part of the story. The food at RAW is described as 'bistronomy' cuisine, fancy french dining reduce to it's base elements and using fresh local ingredients. The food at RAW is beautiful, full flavoured and really inventive. Definitely what you'd expect from a chef that is comfortable in his skin and at the top of his game. 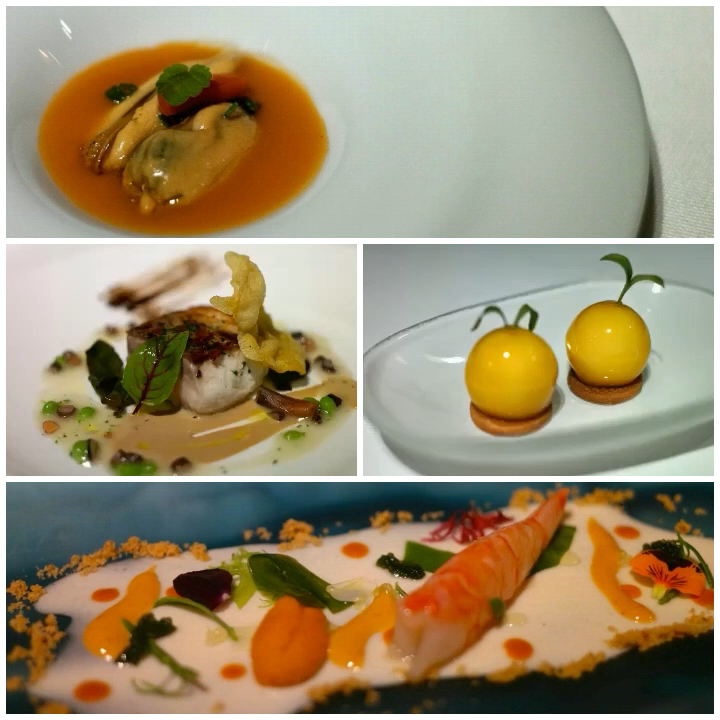 One of the biggest surprises I had when tooling around Hong Kong was the discovery of Vasco Spanish Fine Dining. Vasco occupies the 8th floor at the very funky PMQ, the former location of the HK Police Married Quarters but now home to art studios and funky shops. 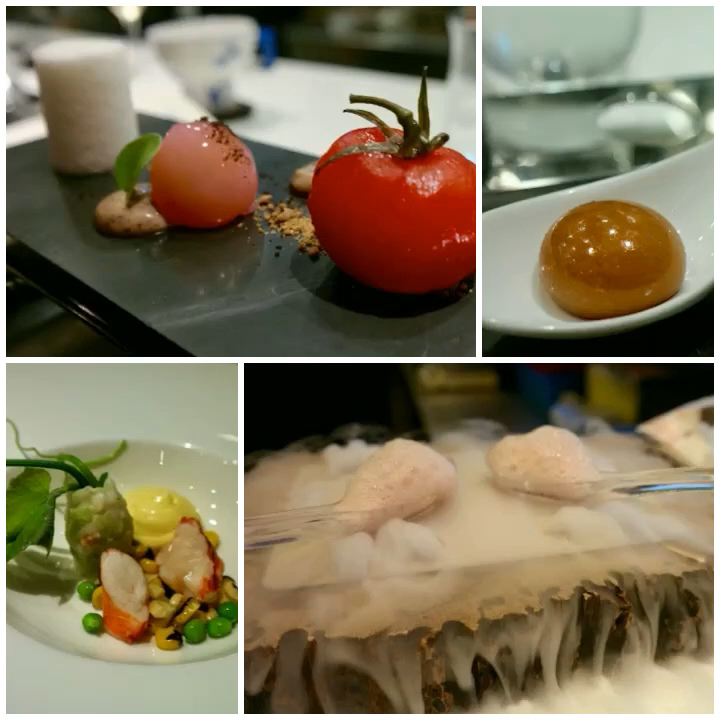 There is no better location for the contemporary Spanish fine diner, run by Chef Paolo Casagrande, a native of Barcelona who's no stranger to Michelin Stars. Vasco is rated as one of the Top 100 tables in Hong Kong but has not yet secured any coveted Michelin Stars, a feat which is truly surprising. The Vasco tasting menu is something quite special, visually stunning and with flavours that sit on the palate long after the last bite is consumed. Interestingly, there is a sommelier for olive oils, with a number of olive oil options available to start the meal and served with an assortment of flavoured butters to supplement a loaf of crusty bread. One of the finest examples of the meal was the roasted foie gras with lemongrass infused duck consommé, right up there with the tastiest morsels of food I've ever consumed. It's an example of incredibly creative and complex flavours coming together to create a memorable meal. I love French fine dining, it's probably my preferred cuisine and my go-to style when looking for a special occasion. Amber is a Hong Kong icon that is rated as one of the best restaurants in the world, currently number 37 on the San Pellegrino World's top 50 restaurants and current holder of two Michelin Stars. Located in the Mandarin Oriental, Amber is the best example of French cuisine in Hong Kong and the place you'd look to go on one of those romantic special occasions, such as an anniversary or birthday. Culinary Director Richard Ekkebus is unique in that the Dutch born master has never worked France himself, but has learnt his trade from some of the best. The food at Amber is quite spectacular, creative and oh-so-French. 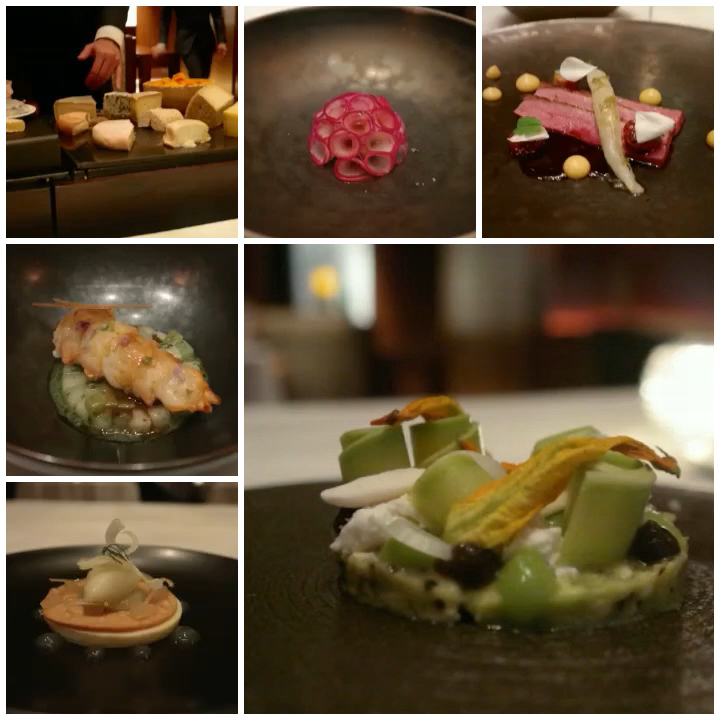 The tasting menu changes infrequently and at the time of my visit we tested the 10th iteration, which was a collection of the restaurant's signature dishes. It's hard to fault anything at Amber, the ambiance is quiet and refined, the food spectacular and memorable. If you're in need of a special occasion dining experience, you need look no further. Vicki Lau was voted female chef of the year through the prestigious San Pellegrino top 50 restaurants list, which is high praise indeed. A graduate of the Le Cordon Blue as well as New York University for Graphic Communication, Vicki has been able to combine her love of design and food into one fantastic career. Tate Dining Room has a Michelin Star, which is just reward for a chef who has carved a nice out in a very male dominated world. Vicki's food is as beautiful as it is creative, each pice a work of art. We were lucky enough to hear Vicki speak at the HK Slow Food movement seminar, and really got a feeling that design is so integral to the way she looks at food. There are two tasting menus on offer at Tate Dining Room, as well as a pretty funky little cocktail menu that is also a highlight. Each of the menus is superb and changes seasonally and each course is worth of a place in it's namesake - the Tate Museum of Modern Art. Tate is quite a small dining room, but very intimate and very much a date night spot. 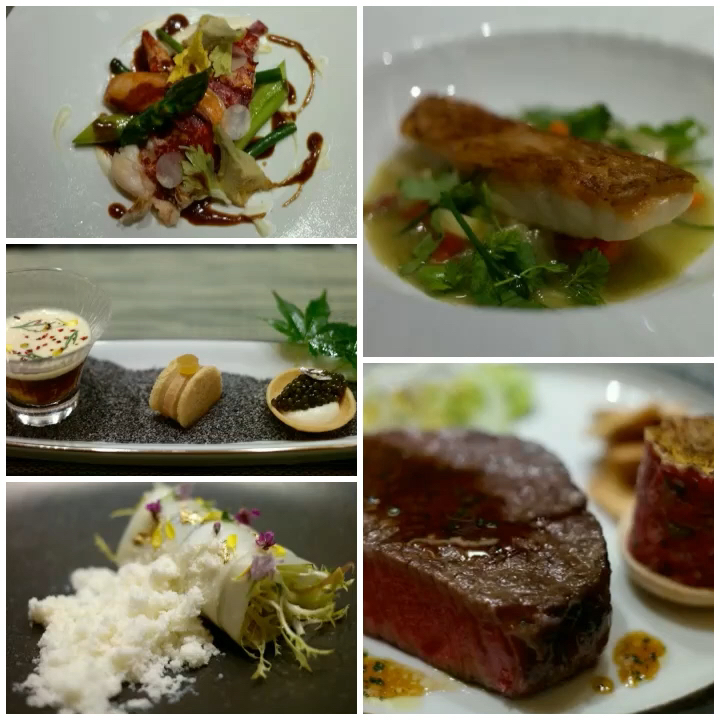 Chef Mitsuru Konishi has created the perfect experience. Wagyu Takumi is a fabulous little dining room that seats a maximum of twelve, all seated around the kitchen 'bar style' that leaves nowhere for Chef Konishi to hide. Awarded two Michelin Stars, the food at Wagyu Takumi does not really get much better and the ability to get up close and personal with the talented chef is worth the price of admission. As the name suggests, Wagyu Takumi is a Japanese restaurant that has shades of French fusion mixed with traditional Japanese techniques. 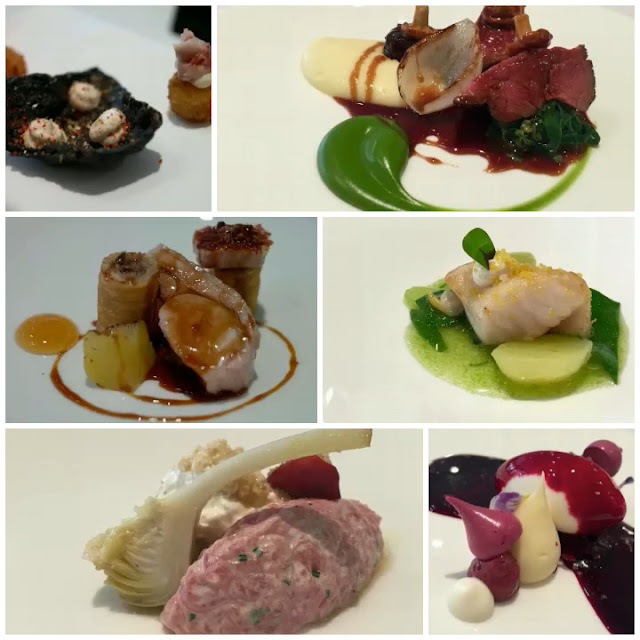 Each dish of the tasting menu is well thought out, immaculately prepared and totally delicious. There is a certain hypnotic charm sitting a few feet away from a world class chef, who makes cooking a complex meal look effortless. 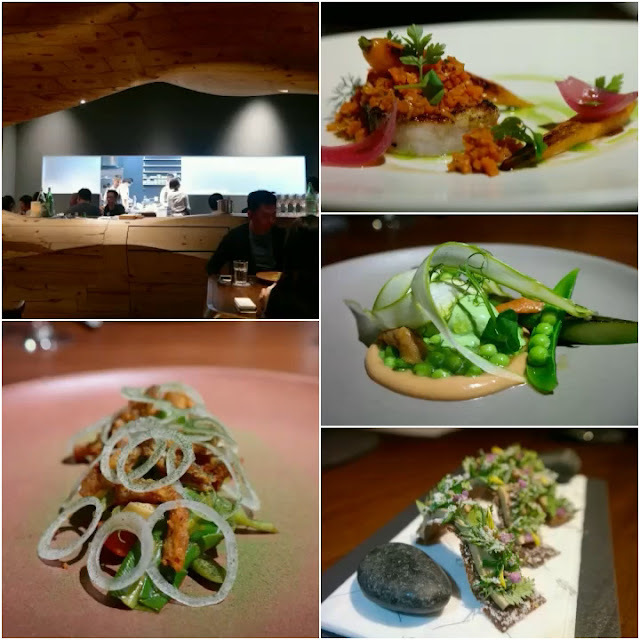 There is a quiet intensity in dining at Wagyu Takumi, it's a rewarding experience from a chef who is clearly at the top of his game in a restaurant that can hold it's own against any in the world. 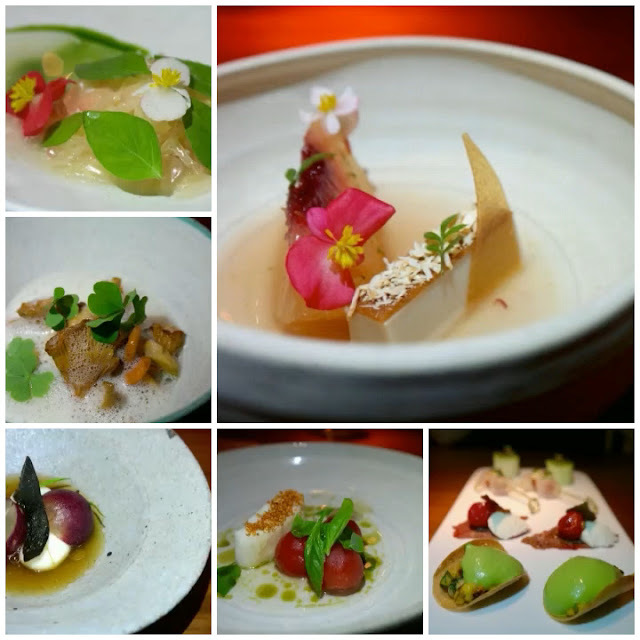 There is a sweet spot where produce, technique and philosophy come together so perfectly that a truly unique restaurant is formed. Nurdin Topham's NUR is just such an establishment. Taking the philosophy of using 'the things I want to eat' and overlaying with the 'things I should eat' and coming up with a cuisine that is both healthy and delicious. Inspired by a stint in Rene Redzepi's NOMA Food Lab, Chef Topham has been able to bring his classic training at some of the globe's best restaurants as well as qualifications as a natural therapist to deliver food that, for me, is the best in Hong Kong. The NUR tasting menu is a joy to eat from the moment you start with the cured goose ham amuse bouche, right the way through to the dessert that is both sweet and healthy. The flavours of Chef Topham's dishes are intense and the ingredients healthy... I'm not sure how he does it, just so happy that he does. Showing that the Michelin Guide doesn't always get it right, NUR lost it's Star in 2016, a travesty that is hard to believe. For me, the best restaurant in Honkers! It's been a good year when you can put your hand on your heart and say that you've had the most complete meal of your life. 2015 was that year for me, when I was lucky enough to get to London and check out Phil Howard's The Square. Arguably the best chef in the UK, Phil Howard is responsible for training some of the finest chefs globally in his The Square restaurant. The Square has been around for a while, it's had two Michelin Stars for just as long, and well deserved those stars are. I had the tasting menu on my visit, which was faultless, absolutely faultless. 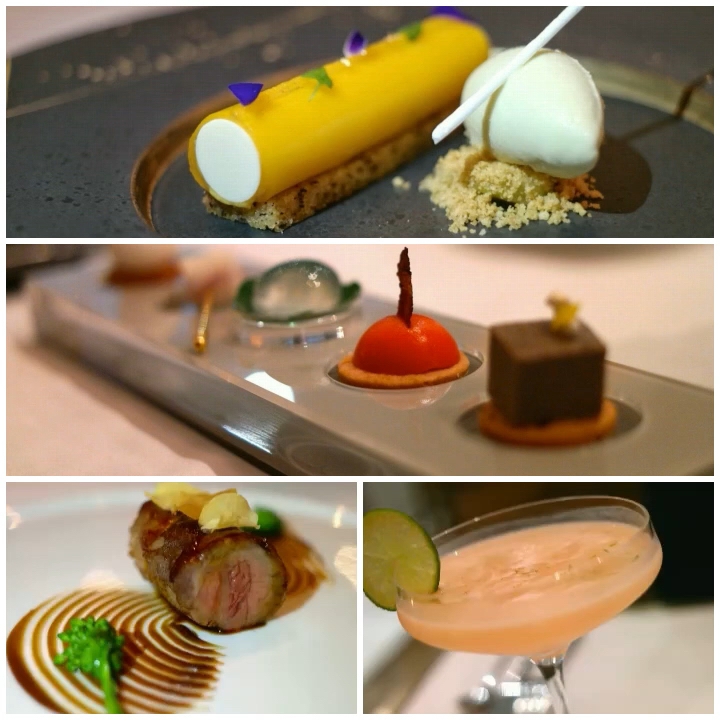 Each of the dishes were creative and pretty, but most importantly, tasted incredible. It's fair to say that the meal perfectly aligned with what I think a tasting menu should be. Each dish builds on the last, and unbelievably, each dish is better than the last. I want to go back and I want to take people with me! There you have it, my top ten restaurants for 2015. As you can see, the list is dominated by fine dining restaurants with beautiful tasting menus. 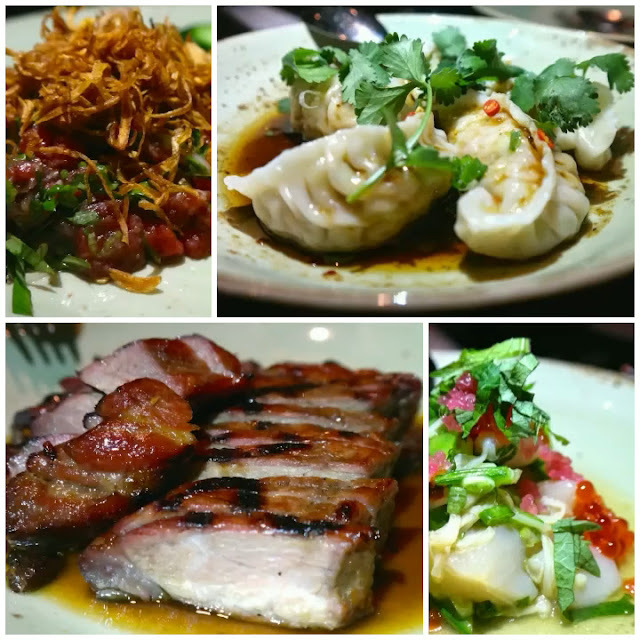 Dominated by (but not exclusively) degustations, with the restaurants I've revisited the most being Din Tai Fung and Ho Lee Fook, both very accessible restaurants. But I can't hide the truth, given a chance I will choose a tasting menu. I just love going on a journey with a chef, being taken to places in his/her imagination and testing the limits of what food can represent. 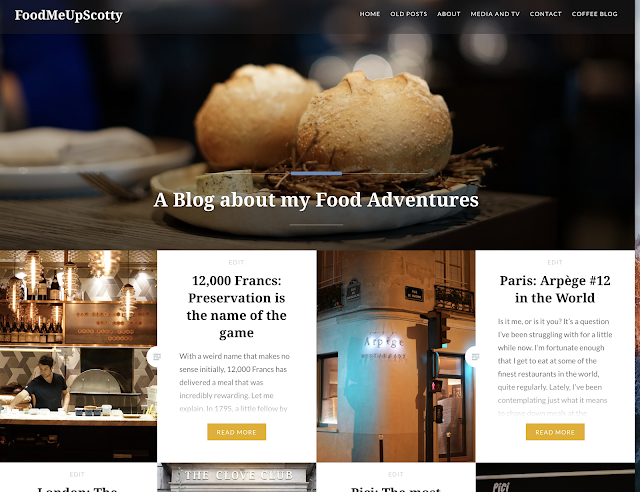 I wonder what interesting restaurants and food journeys 2016 will hold. Follow me in my foodie journey and find out! This number is usually completely outclassed by means of very good food eateries having wonderful mouth watering food selection. Completely outclassed by means of but is not only deputations, while using the eateries I've truly revisited by far the most currently being Din Tai Fung in addition to Ho Lee Fook, both equally incredibly readily available eateries. Akrame - the beginning of a global empire?